View OUT/LOOK Issue #16 at the Lesbian Poetry Archive. Asked to respond to Issue 16 (Spring 1992), Jorge Ignacio Cortiñas and his collaborator Charlie Mai decided to explore the legacy and practice of identity politics. 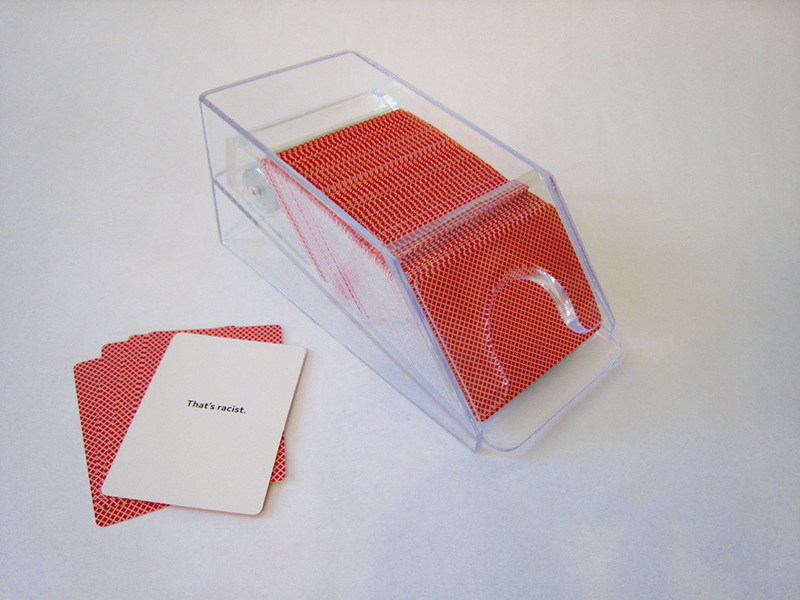 What resulted is an interactive piece that appears at first glance to be a playing card dispenser. The viewer is invited to take what looks and feels like a playing card. Instead, when turned over each card reveals one of four messages, “That’s racist”, “That’s sexist”, “That’s classist” or “That’s colonialist”. Is this a celebration of how indispensible identity politics have become to our survival or a wry commentary on its more flatfooted applications? That’s up to how the viewer uses the card. Keep it as a talisman or a warning? Deploy it when inevitably needed? Cross out the printed message and make your own card? Whatever gets us through the day. 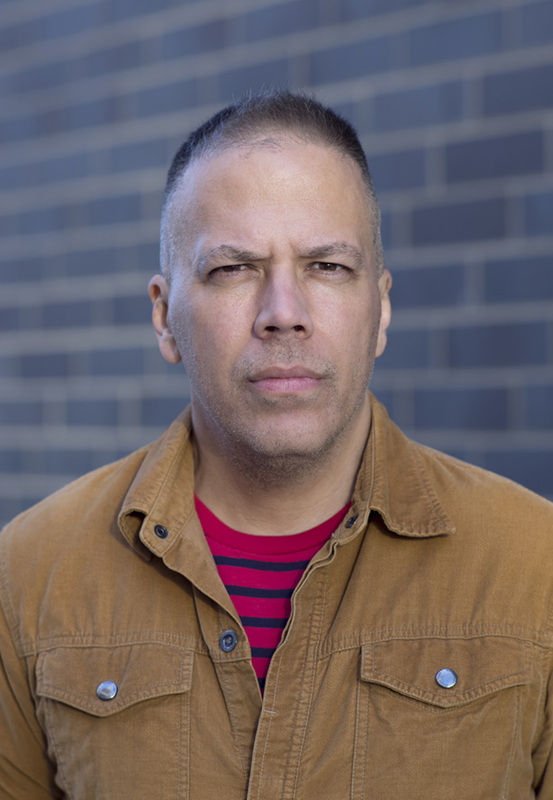 Jorge Ignacio Cortiñas is a theater-maker based in New York and Artistic Director of the Obie winning company Fulcrum Theater. His most recent play, Recent Alien Abductions, was presented at the 2016 Humana Festival. Other works include Backroom (Whitney Museum of American Art), Bird in the Hand (New York Times Critics Pick, published by Dramatic Publishing) and Blind Mouth Singing (New York Times Critics Pick, published by TDR). His many awards include fellowships from the National Endowment for the Arts and the New York Foundation for the Arts; the Helen Merrill Award; and the Anschutz Distinguished Fellowship at Princeton University. Charlie Mai is an artist who works in performance, sculpture and print. His work focuses on the negotiation between personal experience and rejection and desire of prescribed racial identity. 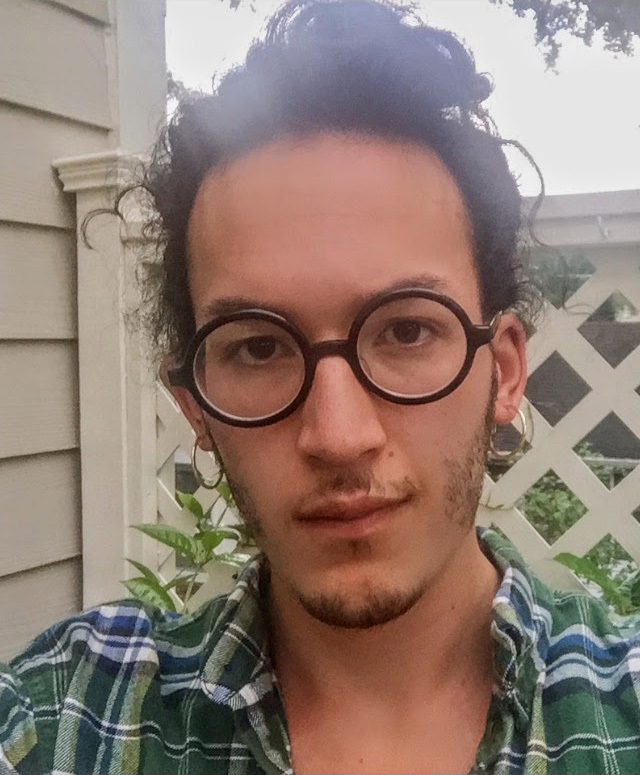 He is currently a student at Bard College.